Heat Pumps Come in a Variety of Shapes and Sizes to Serve the Needs of Any Structure. A heat pump offers highly efficient regulation of a home’s temperature. These devices work through the transfer of heat from one place to another. In the winter, the heat pump extracts warmth from outside air and transfers it inside. In the summer, this process works in reverse, with the heat pump moving warmth out of the structure. A heat pump actually supplies a higher operational capacity than the energy it uses to run. Whereas a highly efficient gas furnace can operate at 98 percent efficiency, a heat pump can run at an incredible 300. At Elite HVAC, we provide complete replacement and heat pump repair services. 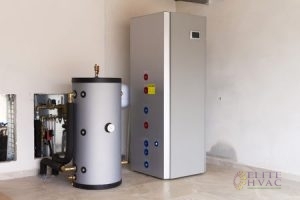 Since heat pumps use little electricity in their operation, they can represent a more cost-effective, eco-friendly strategy to regulate the comfort of your home. 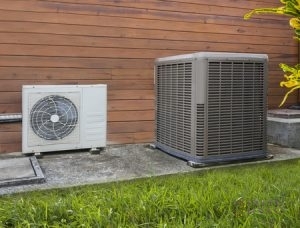 At Elite HVAC, we serve as your local experts for the maintenance and replacement of heat pumps. For any needs with heat pump repair in Orange, CA, we’re the team to trust. To get started, simply give us a call today at (714) 464-6622. In Addition to Climate Control, a Heat Pump Can Also Regulate Water Temperature. Though remarkably efficient, heat pumps can still struggle, break down, and need repairs. If you notice any of the following, reach out to our team for service. Stuck in One Mode: A single heat pump can act as both a heater and air conditioner. In order to switch between these modes, the heat pump relies on a reversing valve. If this valve ceases to work properly, a heat pump can become stuck in one mode. If your device continues to produce hot air when you need cold, or vice versa, you should make a call for service. Lessened Performance: As with other HVAC devices, a heat pump can have problems that lead to a reduction in performance. If your heat pump seems to produce less hot or cool air than in previous years, call for a professional inspection. Strange Noises: Your ears can provide a valuable indicator of your heat pump’s health. A device that makes strange noises, including rattles, whines, or loud hums, definitely needs the attention of a professional. Generally speaking, a heat pump should only make non-obtrusive sounds. The experts at Elite HVAC stand ready to perform any replacement or heat pump repair in Orange, CA. We respect the use of a heat pump, as it represents a wise decision for the comfort of a home. A quick call to (714) 464-6622 enables our expert technicians to render the service your heat pump needs for optimal performance. Updated on September 4, 2018 at 10:49 am by Elite HVAC.